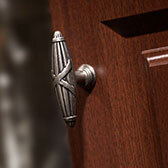 Kitchen and Bathroom cabinet hardware is the finishing touch to a great design. 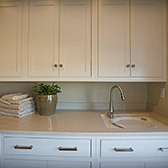 Bathroom and Kitchen Cabinet Hardware should be functional yet visually appealing. 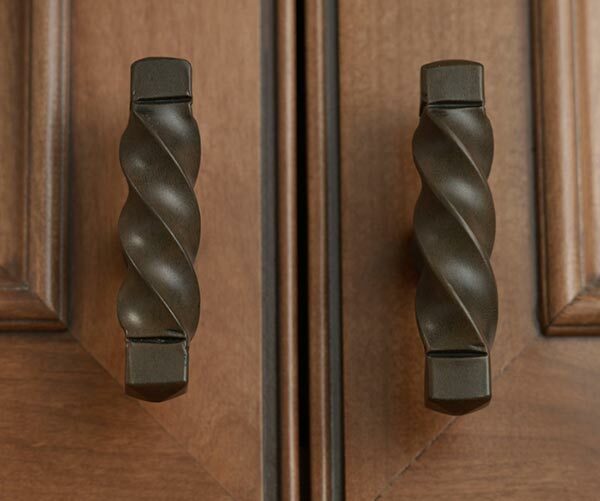 The cabinet hardware that you select should complement the overall design and flow of your space. 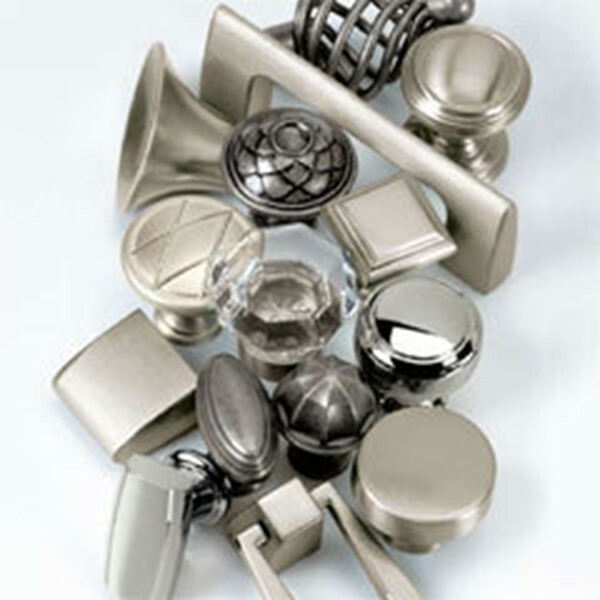 If your style is more traditional, a knob may be the perfect choice for you. 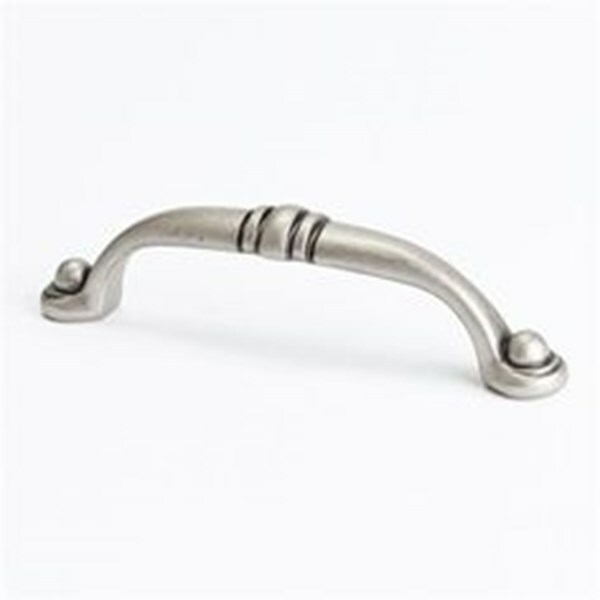 If you have a more contemporary flair, then a sleek cabinet handle or pull may prove to be the best choice for your design. Traditional – Classic designs often influenced by historic architecture and design features. Contemporary – Designs are sleek, have sharp lines and less ornate. 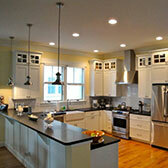 Transitional – Designs in this category are a blend of traditional with contemporary. 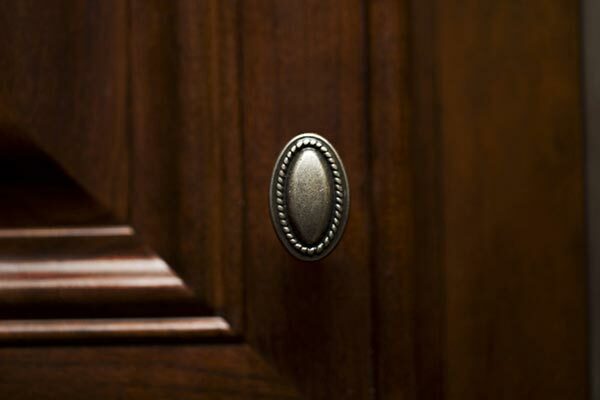 When selecting your bathroom or kitchen cabinet hardware, consider the color of the wood you have selected for your cabinetry. 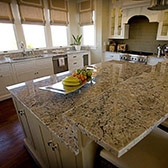 If you are choosing kitchen hardware, pay special attention to the finishes or colors of your appliances, faucet and other furniture pieces that may also be in or around your space. Choose a finish that will coordinate with the other finishes in your room and contrasts with the finish you selected for your cabinets. 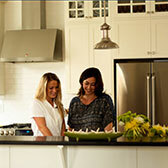 At B&T Kitchens and Baths, we carry some of the best kitchen and bathroom cabinet hardware product lines. 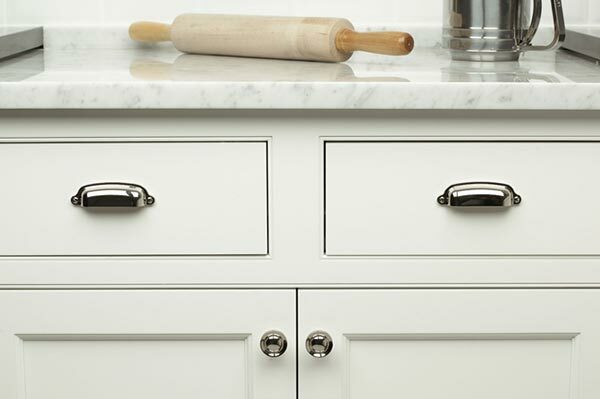 The quality and craftsmanship in each of these lines will be the perfect cabinet hardware solution for your kitchen or bath design.